Our links and referral page is purposely limited to exemplary individuals with whom we have personal knowledge and experience. We know these individuals well as friends and colleagues, and can without hesitation recommend them to you. ALLEN. SCHOEN, D.V.M., M.S. Dr. Schoen is a pioneer who has dedicated his professional career to the advancement of complementary and alternative veterinary medicine. His book "Love, Miracles & Animal Healing", (1995) was one of the first to chronicle the intimate relationship between emotional and physical health in animals. This beautiful book is a classic. His soon to be released "Kindred Spirits, How the Remarkable Relationship between Humans and Animals Can Transform our Lives" (Broadway-Doubleday, 2001) is a treasure. Dr. Schoen maintains a referral practice in large and small animal complementary and alternative veterinary medicine. Dr. Schoen's vision is to create innovative natural nontoxic approaches to animal health, environmental health and human health care and integrate them into a new interdisciplinary program with a commitment to compassionate care for all beings. ROBERT GOLDSTEIN, V.M.D. has been a holistic veterinarian for over 30 years, using a combination of nutritional, herbal, homeopathic and chiropractic treatments. Dr Goldstein pioneered an immune enhancement therapy in the treatment of animals and is an expert in natural treatment and prevention of disease in companion animals. 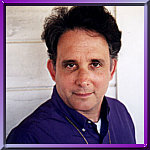 Dr. Goldstein is medical editor of Love of Animals Newsletter. SUSAN J. GOLDSTEIN, executive editor of Love of Animals, is an expert on animal nutrition and the emotional needs of dogs and cats. Her respect for animals has led her to develop revolutionary animal care products made from high quality natural ingredients. She is founder and president of Earth Animal, a natural animal care store in Westport, Conn. Susan's work has earned her coverage by the New York Times, The Wall Street Journal, NBC and CBS. Both Dr. Bob Goldstein, his associate Dr. Brian Wessels and Susan Goldstein are available for private consultations by telephone and can work in tandem with your local veterinarian. "Much of what has been written about and practiced in the realm of holistic animal health care as wonderful as it is, often fails to address the emotional and spiritual needs of animals, equally important components in their overall health. It is in this area that Bob and Susan Goldstein and their staff shine. They have been brave enough to expand their horizons to include these important areas of animal well being in the overall plan for the animals who are brought to their clinic for treatment. Subtle nuances in the Goldstein's lives and work such as including words like soul, or referring to emotional imbalance rather than behavioral problems in their writings about animals speak volumes about Bob and Susan's level of caring. As subtle as they seem, these "small" changes will, little by little, shift consciousness regarding animals in a profound and lasting way. Bob and Susan's "Love of Animals Newsletter" is a respected source of holistic and spiritual animal care for animal lovers nation-wide. For more information on the Goldsteins click to the articles section. Stay tuned for a link to their website." Healing Center for Animals www.healingcenterforanimals.com Find out about NBT The Nutritional Blood Test, a new diagnostic tool for promoting wellness, preventing disease and treating chronic conditions in animals. Website of Andrew Harvey, Andrew Harvey is a renowned and distinguished mystical scholar , Rumi translator and explicator, poet, novelist, spiritual teacher and writer, and architect of Sacred Activism. "Andrew Harvey is a passionate lover of all God's creation. His deep love for animals and nature are evident in his life and writings. In The Direct Path, Creating a Journey to the Divine Using the World's Spiritual Traditions you will find the most beautiful references to the spiritual significance of animals that you will ever read. An excerpt from the Direct Path and an interview with Andrew Harvey can be found in the articles section of this website. Andrew Harvey has had a profound influence on my life. He is one of the most profoundly beautiful human beings I have ever met." If you have had a touching encounter with an animal or while in nature that has opened your heart and helped you to grow in love and tenderness for all Creation Andrew and Sharon would be honored to have you share your story and have it considered for inclusion in an upcoming book. Many stories are and will continue to be posted on the site so that we can all begin to share the wonderful and sacred ways animals touch our lives. While visiting Animal Liberty, send a beautiful Animal Liberty Virtual Greeting Card to someone special. "Although at Anaflora our focus is on spiritual healing, we understand that many of our clients are seeking information on health care modalities and products. We know that sorting through what is and isn't of value in the marketplace can be a challenging and often confusing prospect. We would like, therefore, to introduce you to Animal Magazine and the website www.animalanimal.com . We have found them to be very reputable sources of the latest information on animal care and animal healthcare products. Although the philosophies presented in Animal Magazine may at times differ from our own, we have worked directly with Tim Hockley and Dana Cox, publisher and editor of Animal Magazine and found them to be of very high integrity in their search to present the best available in animal products, services and information." Tim and Dana invite you to visit the world's ultimate animal wellness community. It features information on natural healing and nutrition, coping with pet loss, interviews with leading animal experts, an animal travel section, chat room and so much more! Sign up for the free newsletter, find a holistic vet in your area, arrange for a veterinary consultation or visit the Animal store for a wide variety of natural animal products. The Elephant Sanctuary in Hohenwald, founded in 1995 by Carol Buckly , is the nation's first natural habitat refuge developed specifically for endangered Asian elephants. It operates on 800 acres surrounded by a 3,000-acre buffer zone in the town of Hohenwald, Tennessee — 65 miles outside of Nashville. The Elephant Sanctuary provides a haven for old, sick or needy elephants in a setting of green pastures, old-growth forests, spring-fed ponds and a heated barn for cold winter nights and provides education about the crisis facing these social, sensitive, passionately intense, playful, complex, exceedingly intelligent and endangered creatures. The Sanctuary is a retirement home for Asian elephants no longer wanted by circuses and theme parks. The elephant and human residents of the sanctuary have been treated with Anaflora flower essences since 1995. Elizabeth Fulton is an animal communicator and co-author of the book, Animal Reiki: Using E nergy to Heal the Animals in Your Life. A former psychotherapist, Elizabeth began working with animals as a Reiki healer and was one of the first to offer Reiki professionally to animals. Elizabeth is a natural" and gifted animal communicator. She has completed a three year apprenticeship with Sharon Callahan and has been certified as an Anaflora Flower Essence Practitioner. 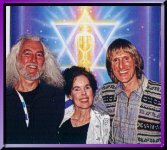 Erik Berglund Website of Erik Berglund, international recording artist and healer includes pages on angelic harp music, healing, retreats, upcoming events, and gallery with special Java animation. "I have known Erik Berglund for many years. He is truly a healing angel and his music comes straight from the angelic realms. I often recommend that my clients play Erik’s music to their animal companions when the animals are ill, emotionally stressed or lonely. All have reported back to me wonderful results. During animal communication sessions, animals themselves have communicated to me how they are soothed and uplifted by this beautiful music. Animals and Angels have a close relationship ministering to human beings in the ways that they do angels from the side of spirit and animals from the physical side of things. For this reason animals are particularly soothed and comforted by Erik’s heavenly music." Ethologists for the Ethical Treatment of Animals Citizens for Responsible Animal Behavior Studies (EETA/CRABS) Founded by Marc Bekoff and Jane Goodall The purpose of this organization is to develop and maintain the highest ethical standards in comparative ethologial research that is conducted in the field and in the laboratory. Scientists, non-scientists, teachers, and students are welcomed to join. Marc Bekoff is Professor of Organismic Biology at the University of Colorado, Boulder, and is Fellow of the Animal Behavior Society and a former Guggenheim Fellow. His main areas of research include animal behavior, cognitive ethology (the study of animal minds), and behavioral ecology, and he has also published extensively on animal rights. His recently released book "Strolling With Our Kin" is an incredible contribution to humanities awakening sensitivity to the kingdom of animals. Outstanding businessman, lecturer and award-winning author, John Harricharan, is a unique blend of East and West. A naturalized U.S. citizen born in Guyana, South America of East Indian heritage, he is truly a multi-cultural, global personality. Yet, with his professional background, he also exhibits a rare sensitivity and charismatic delivery which have earned him well deserved respect and acclaim. However, he was to know failure as well as success. The events that led to both are incorporated in his lectures and are chronicled in his book which, rather than being stories of loss and sadness are, instead, inspiring tales of courage, strength and the dignity of the human spirit. He has shared the lecture platform with such well-known speakers as Deepak Chopra, Elisabeth Kubler-Ross, Og Mandino, Gerald Jampolsky, Foster Hibbard, Eric Butterworth, C. Everett Koop and others. Hellerwork, www.hellerwork.com founded by Joseph Heller, is a powerful system of somatic education and structural bodywork which is based on the inseparability of body, mind, and spirit. Hellerwork makes the connection between movement and the body alignment, and restores the body's natural balance from the inside out. Hellerwork is based on the assumption that every being is innately healthy. The client's results are maximized by creating a deeper experience of the integrity of their body, their movement, and their relationship with themselves, with others, and with the world around them. Some Hellerwork practitioners work with horses. Planetary Citizens, Inc. A 501 C (3) Non-Profit Corporation Dedicated to increasing the Awareness That every Human Being, Animal, Plant and Mineral Is a Unique Expression of Divine Energy worthy of Respect, Love and Care.Activities and educational programs - retreats - seminars - conferences - how you can become a member - daily prayer circles - art - music - and More. The vision of Planetary Citizens, Inc. is the creation of "Heaven on Earth" through honoring, protecting and uplifting all the citizens of planet Earth. Marlis Jermutus was born in Germany and began her professional career as an artist in 1970. She now lives in the States and paints in studios in California and Massachusetts. When in California she resides at the base of Mount Shasta in intimate contact with nature. In addition to her magnificent artwork Marlis is an accomplished musician...but best of all, her life itself is art in its highest expression. We are blessed by her friendship and we know you will love her as much as we do. When you visit Mount Shasta we would love to introduce you to Marlis in person and have you visit her studio as her schedule permits. http://www.starseedgallery.net more about Marlis and her art. http://www.starseedmusic.net spiritual music that connects heaven and earth. http://www.pelorian.com/deer.html absolutely wonderful photos of Marlis and her deer family. Susan Mc Elroy (www.susanchernakmcelroy.com/) is the author of the New York Times bestseller Animals as Teachers and Healers and the more recent Animals as Guides for the Soul. These two books are wonderful, inspiring reading for any animal lover. There are compassionate reasons to consider vegetarian alternatives for companion animals. Scientific advances make it possible to feed companion animals without killing animals or using their products. Healthy, cruelty-free and palatable alternative diets are available for those who choose to explore them. Harbingers of a New Age in Montana offers VEGEPET, a quality line of vegetarian pet food mixes that are economical, time efficient and compassionate. They also offer high quality supplements and enzymes for animals and a wonderful book called Vegetarian Cats and Dogs by James Peden with a forward by Michael Lemmon, DVM.With the help of VEGEPET, any conscientious individual can prepare extraordinarily pure, delicious meat-free meals in their own kitchen. If you feel inspired to explore further, take a look at http://www.vegepet.com/ "When choosing a vegetarian diet for cats, we recommend that you consult a sympathetic veterinarian for guidance."